A perennial with finely dissected leaves that may reach 6 1/2 feet in height. 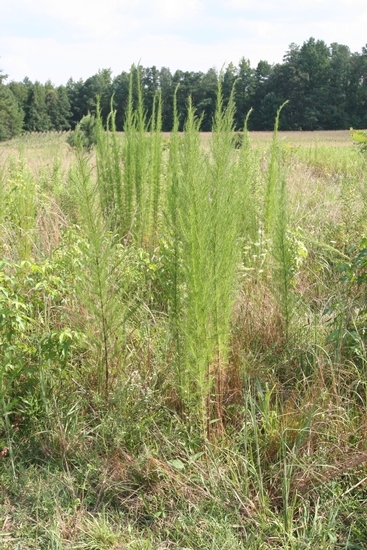 Dogfennel is primarily a weed of agronomic crops, pastures, hay fields, nurseries and landscapes. It is found throughout the southeastern United States from Massachusetts to Texas. Cotyledons occur on petioles, are oval, and are without hairs. The first true leaves are opposite and subsequent leaves become finely divided like those of the mature plant. Leaves are finely divided into linear segments. Lower leaves may sometimes be opposite, but upper leaves are always alternate. Erect, reaching 6 1/2 feet in height, hairy above, sometimes without hairs below. 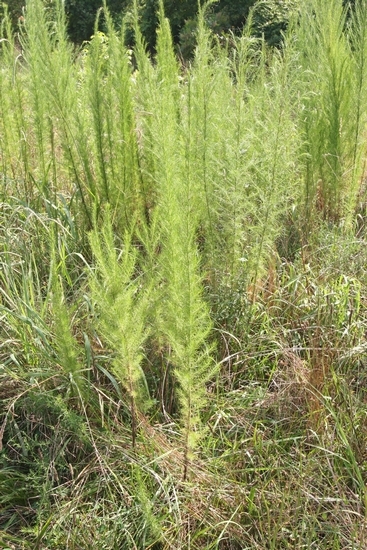 Stems are branched only in the upper 1/3 to 1/2 of the plant. 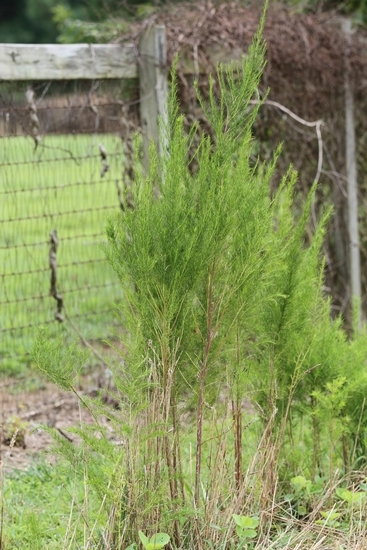 Stems have a somewhat woody base and are often dark red or purple in this area. Flowers are inconspicuous and are produced in the upper branching portions of the plant. Individual flower heads are 2 to 3 mm long and greenish white in color. An achene that is 1 to 1 1/2 mm long. Erect plants that branch in the upper portions only with finely dissected leaves. Additionally, the leaves and flowers of this weed often emit an unpleasant odor when crushed. 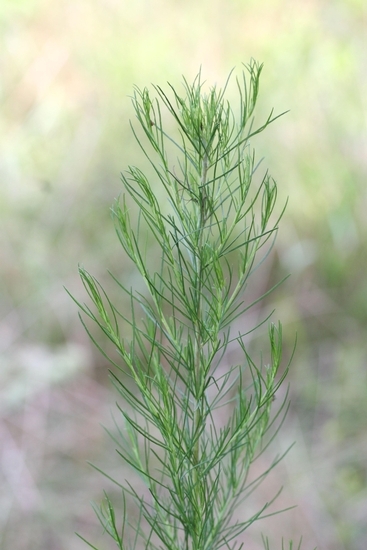 Dogfennel is sometimes confused with Horseweed (Conyza canadensis), but horseweed leaves are much wider and not finely dissected like those of dogfennel. 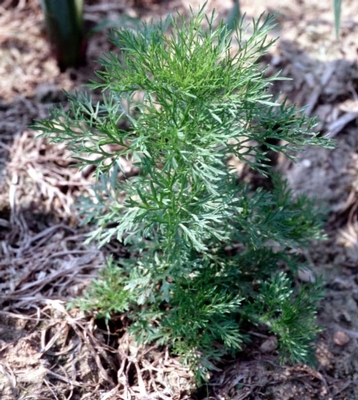 Dogfennel may also be confused with Mayweed Chamomile (Anthemis cotula) and Pineapple-weed (Matricaria matricarioides) when in the seedling stage of growth. 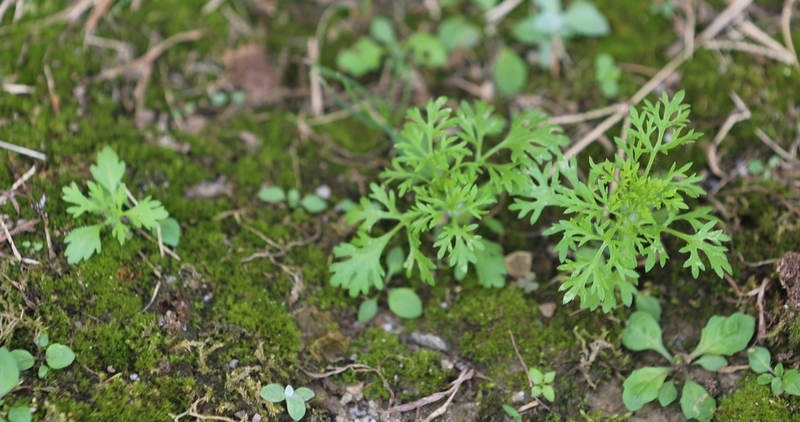 However, mayweed chamomile seedlings emit a strong pungent odor when crushed and pineapple-weed seedlings emit a sweet pineapple-like odor when crushed. 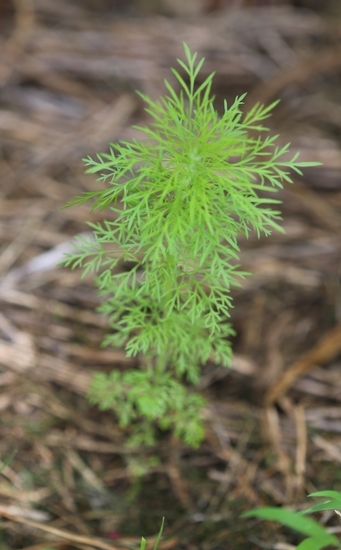 Dogfennel seedlings also have stems that are very hairy unlike the sparsely hairy or glabrous stems of mayweed chamomile and pineapple-weed.